Since founding his practice nearly a decade ago, German-born Melbourne-based Volker Haug has developed an international reputation in lighting design. His work features a distinct aesthetic, incorporating industrial and minimalist elements, together with a strong sense of colour. 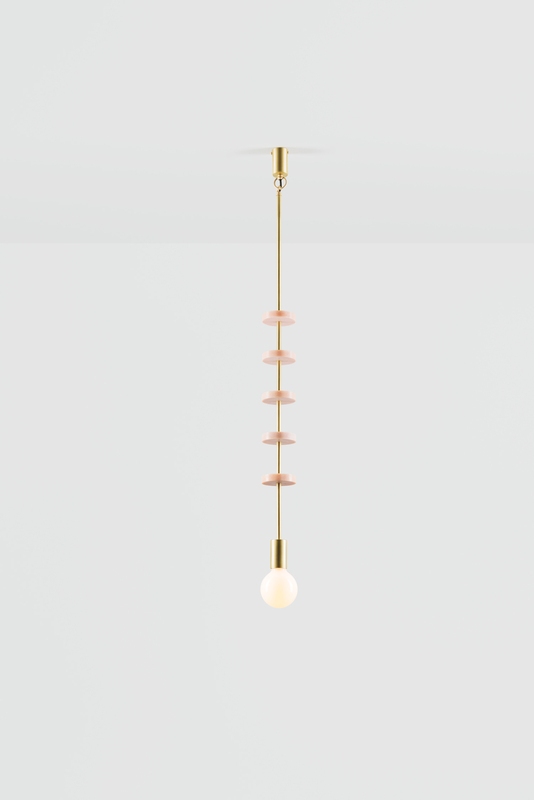 With his highly skilled team, Haug creates all the pieces from his studio and showroom in Melbourne‘s Brunswick East where all the lights are assembled by hand, ensuring the utmost care and quality. Working with high-end materials including brass, copper, porcelain and glass, together with recycled and reclaimed materials, Haug creates unique lights that are playful, sculptural, functional and surprising. 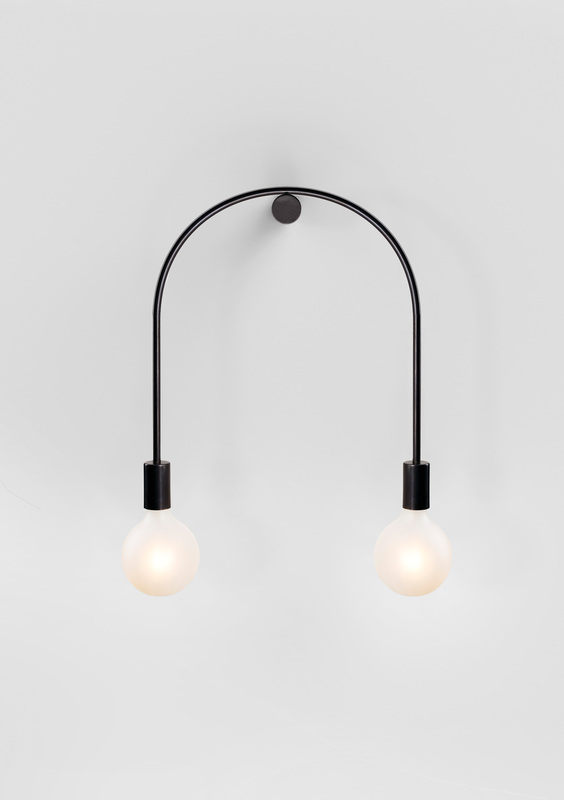 The company recently launched a brand new lighting collection which has us feeling particularly hot under the collar – grrr baby. Let’s take a closer look at some of the pieces. 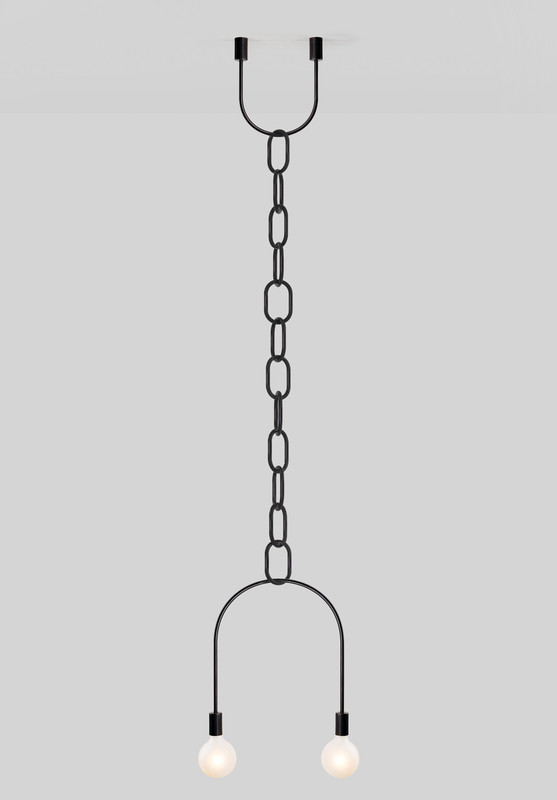 The Chain Series (shown above) is part jewellery, part industry, with fixtures simultaneously appearing delicate and bold. 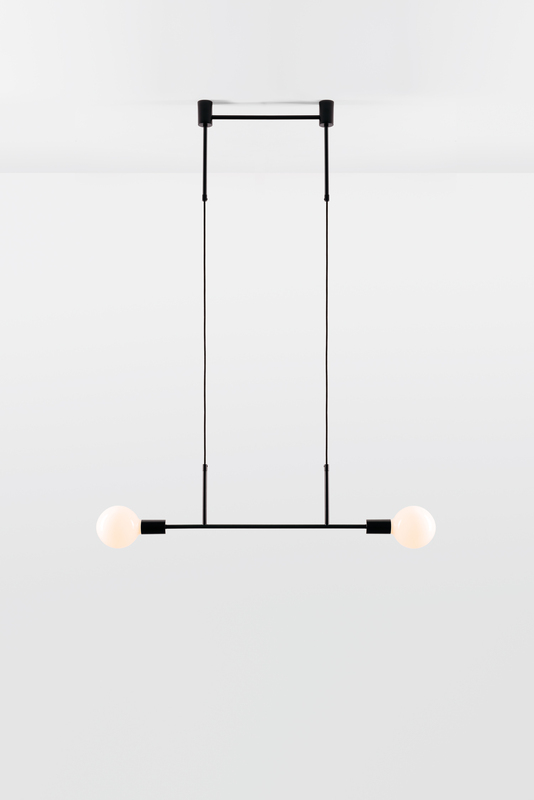 Seeming to balance two spherical lights like a perfectly weighted scale, this design can be selected as a wall mount (Only U) or as a ‘U’ and chain pendant with a ceiling mount that mirrors the light fitting below (Chain on U). 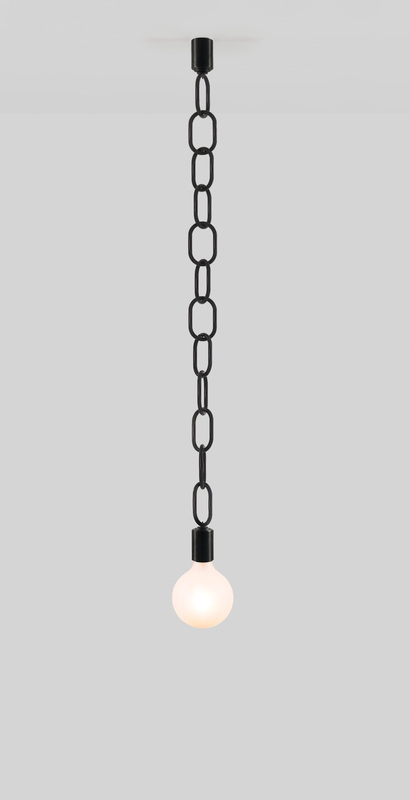 The lights is also available as a simple pendant (Chain Chain Chain), all available in a variety of powdercoated and metallic finishes. Tick. 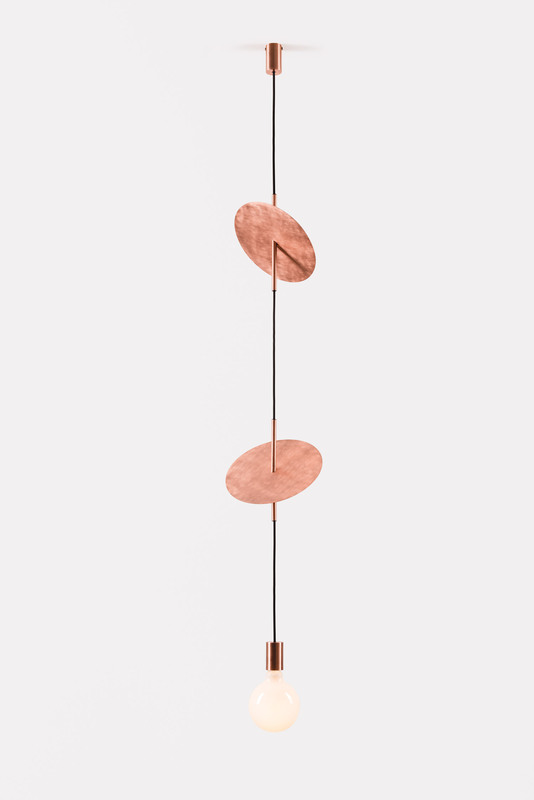 Flipside pendants (above) use angled metallic discs designed as a reinterpretation of interior pendant lighting. 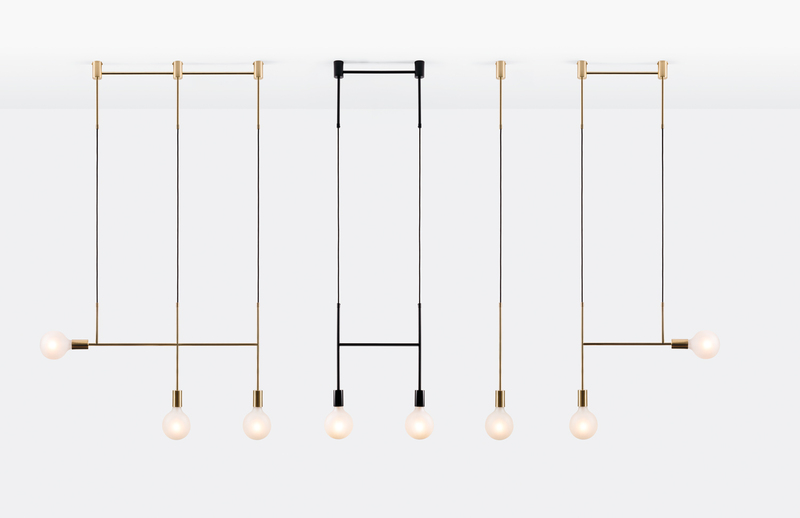 Suspended from decorative cabling, these ligths can be customised in a variety of finishes like copper, marble and brass, and arranged in single or multiple configurations. They are also available as a solid pendant, with no visible cables. 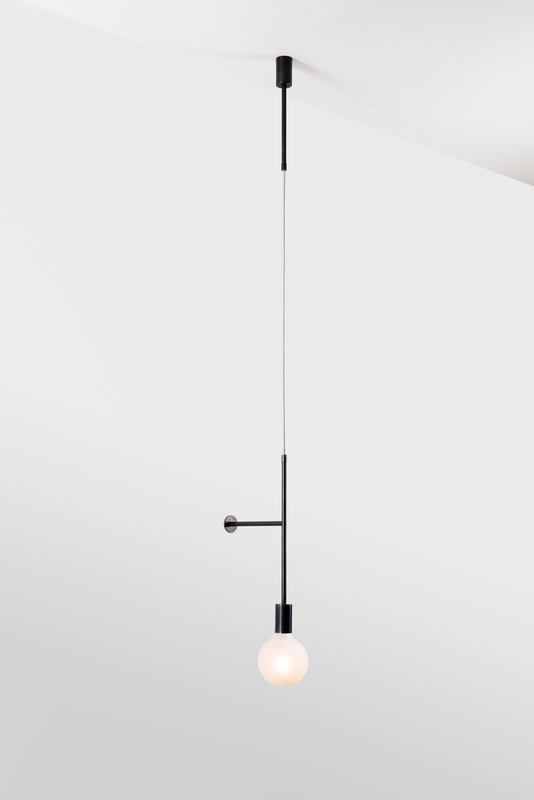 Side Kick and Side Step (above and below) are an unassuming twist on the traditional pedant, with simple designs combining structural lines with refined materials and craftsmanship. 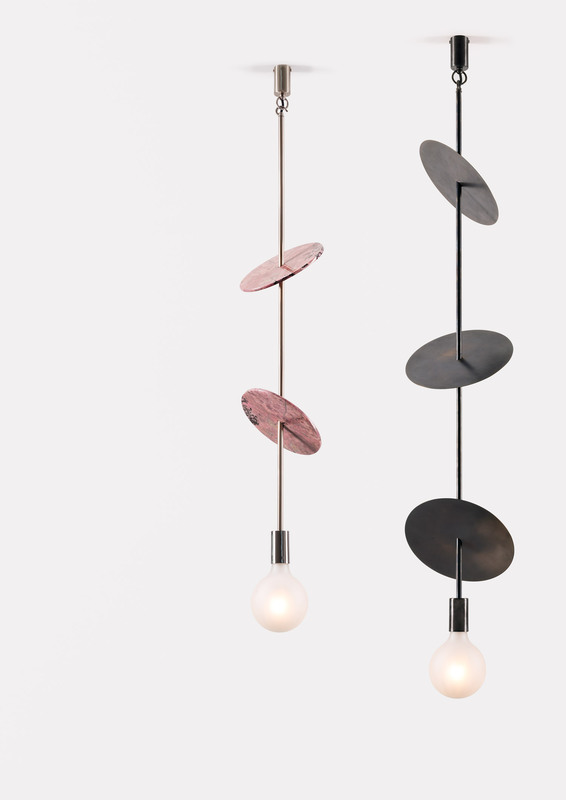 A modular, customisable design, the pendants can be put together in a variety of configurations, allowing the user to create a personalised light arrangement. 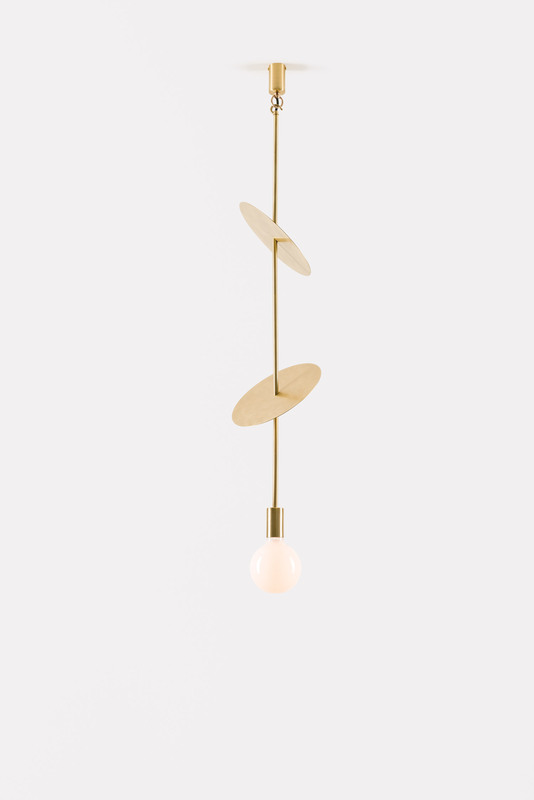 Made from polished brass and braided cable, or an optional powdercoat finish, the intersecting arms are balanced by the ceiling mount above. Helmut Lang Concept Store in West Hollywood by Standard Architecture. Interview: Melbourne-Based Architect Kerstin Thompson.